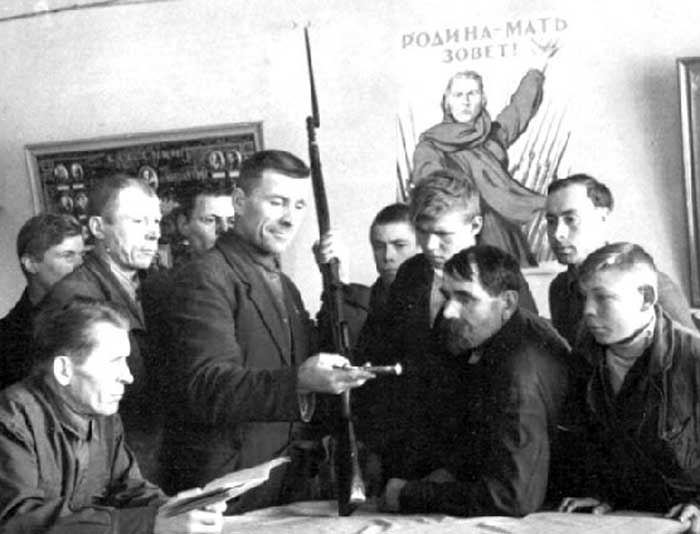 On June 22nd, 1941, the first day of the Great Patriotic War, there were numerous meetings in the workshops. After that many workers signed up volunteers for the Red Army and people’s volunteer corps. By the decision of the State Defence Committee the ship repair yard was evacuated to Velikiy Ustyug as Germans were quickly approaching Leningrad. The equipment was installed at the earliest possible day here on the base of ship repair workshops. Evacuated ship repair yard started repair and remodeling of civil ships into naval ships. Later in cooperation with ship repair yard “National fleet” the enterprise started to produce motor shells by order of the Main Artillery Board and field kitchens for Transport and Economic Department. During the years of the Great Patriotic War ship repair yard labours produced about 1 million of motor shells, 800 field kitchens and repaired over 100 river vessels for the front. 170 workers of the enterprise were awarded the orders and the medals for valorous labours. In spring of 1944 after the breaking of the Leningrad blockade labours returned to the home town for ship repair yard restoration.